Anyone know Camera 360? :) It appears Kris Jenner does. 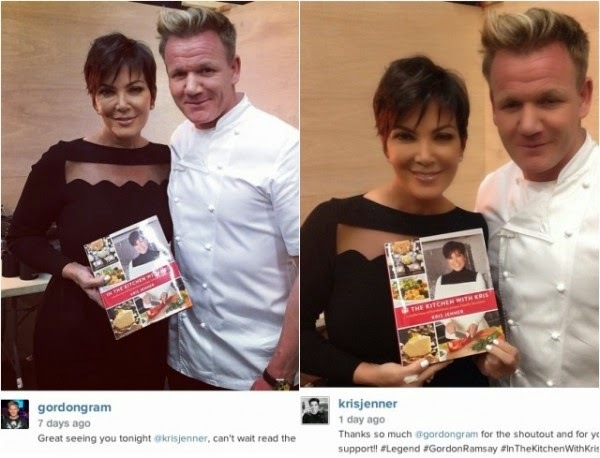 The famous Kardashian ‘mom-ager’ is currently promoting her cookbook and recently met with famed chef & TV personality Gordon Ramsay. She posted an airbrushed photo of their meet up that showed her with significantly less wrinkles on her face, neck and hands… Gordon got the short end of the stick though as she left most of his wrinkles intact. Have you ever caught your friend photo-shopping their Insta-photo?